Search For "E-Commerce & IT Outsourcing" Companies in Lamar, Colorado - Click Here Now! We Build Internet Properties To Help Local Businesses Get More Customers And Make More Sales. Our Specialty Is Wordpress Business Websites, Facebook Fan Pages, Google Places Optimization, And Mobile Ready Websites. We Also Provide Mobile Marketing (SMS Advertising) Services. 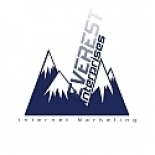 Everest Interprises in Lamar is a company that specializes in Computer Related Services, Nec. Our records show it was established in Colorado.